Japanese monkey is inhabited in the north area. 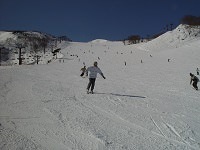 And northern part of Japan has a lot of snow during a few months. Generally, the temperature is negative 10 degrees Celcius. 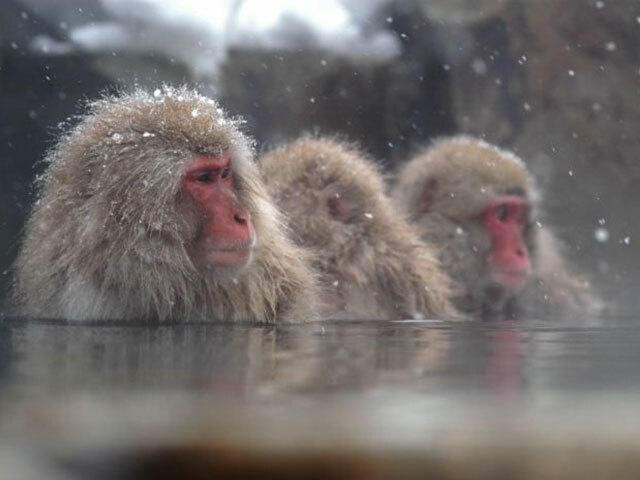 Japanese monkeys that live in the natural environment, are called snow monkeys. 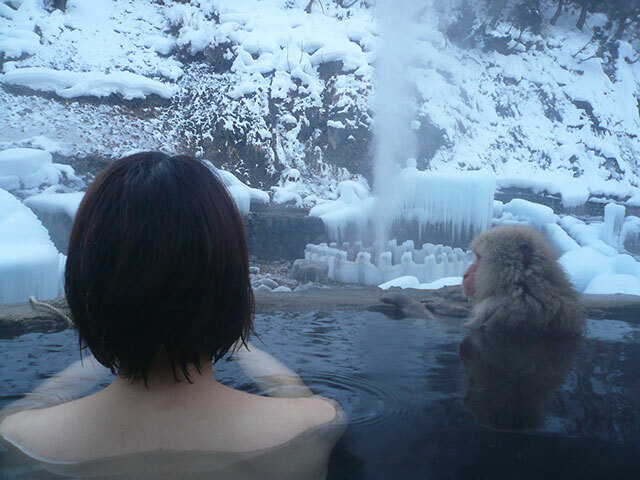 Yudanaka is famous for its onsen, or hot springs, and for its wild monkeys that live in snow. 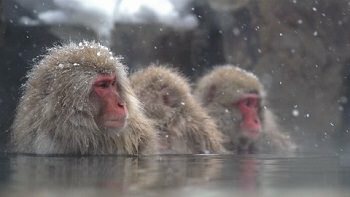 The unique thing about these monkeys is that they get warm by dipping themselves into hot springs. This is the only place in the world that you can see monkeys soaking in hot springs. 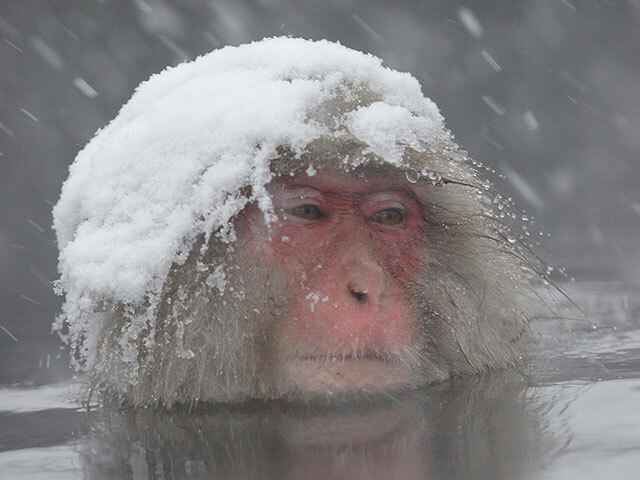 Come see the Snow Monkey during our Winter Discovery Tours! 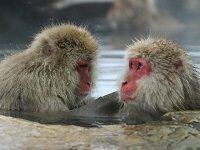 Japanese monkeys (a scientific name: Macaque Fuscata) are known as the primate species that live in the northern part of the world. 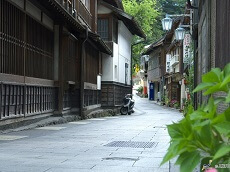 They live in the forests, mainly broad-leaved forests in Honshu excluding Hokkaido and the Ryukyu Islands. 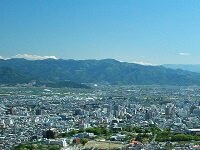 The average weight of adult male is 12-15kg, and adult female is 8-13kg. Body length of adult male is 54-61cm, and adult female is 47-60cm. They have short tails, which is 8~12cm for males and 7-10cm for females. They have 20 milk teeth and 32 permanent teeth, which is the same as humans. 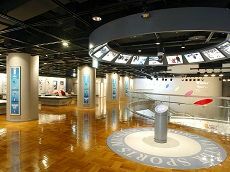 Body temperature is 38.6degrees C, higher than human. When they grow up to adults, their faces and bottoms turn red. 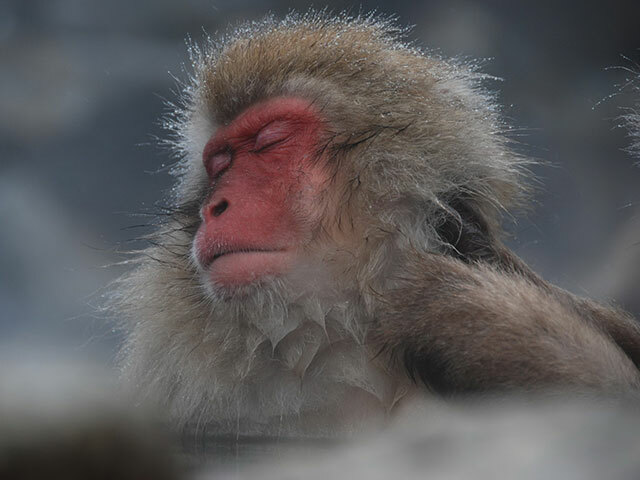 The main diet of snow monkeys consists of plants. They eat shoots, young leaves and weeps in spring. In the fall, they eat fruits, nuts, and even insects. 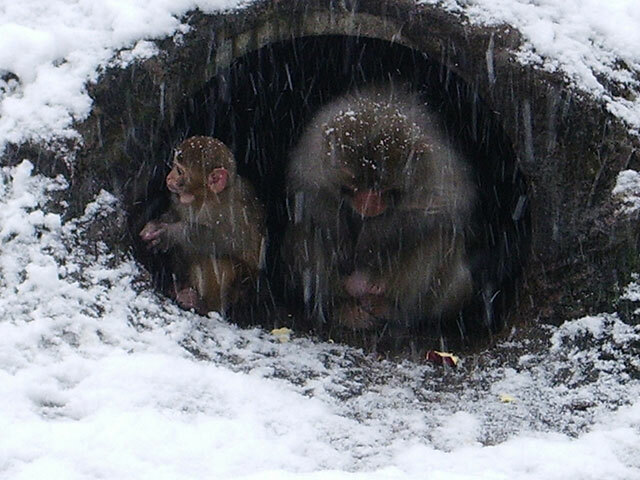 Japanese monkeys in heavy snow area eat bamboo leaves, winters shoots or bark of trees to prevent itself from starving. The number of adult female monkeys is nearly three times of adult males and their children. Females typically stay in their natal group, while most males leave their group before they become adults. Some males become solitary males, but eventually joins a group. Throughout their lives, they continue to move from group to group. The basic composition of group is adult females and their children, forming a matrilineal society. 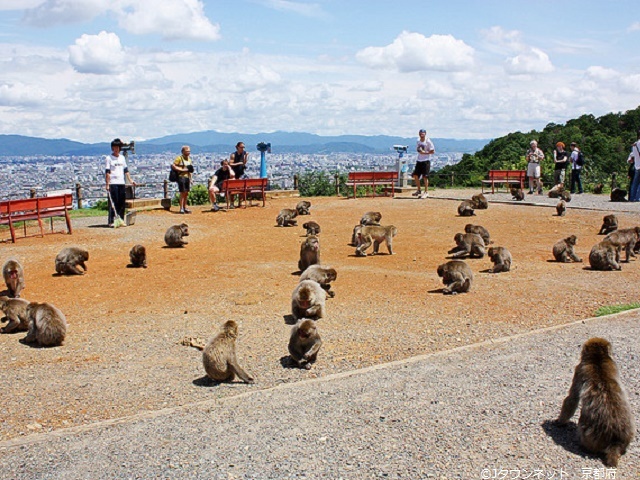 Japanese monkeys are diurnal animals. At night, they sleep on the tree, with the posture of holding each other or sitting alone. They never make nests to sleep on and change sleeping sites every day. Mating season is from October to December. Monkey babies are born from April to June. Conception period is at average 173 days and bear only one baby, whose interval is usually a year. They live for 25-30 years. Each monkey has different face. If you keep up to observe them, it becomes easier to distinguish their faces. They are good at living on trees. They developed the vision system to measure the distance between branches when they leap and jump onto. In addition, they live in a society, in which need to identify each other by eyes.